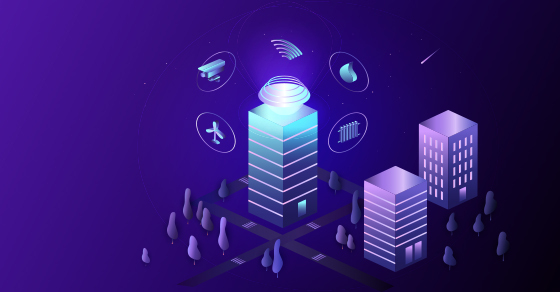 A smart building is one equipped with a variety of sensors that gather and track information about the structure’s energy usage and performance. With this data, the owners can better regulate the building’s energy consumption and, ultimately, save money. Has this been the case in real life? The results of a 2018 Forbes Insights/Intel survey seem to indicate so. Of the 211 business leaders from around the world who responded, 66% answered affirmatively when asked whether smart building management technologies have produced a return on investment. The name of the game with smart buildings is integration. Traditional building management and control systems don’t easily converge with today’s technology-driven and Internet-connected infrastructure. (This infrastructure is often referred to as “the Internet of Things.”) Sensor-collected data, however, flows directly to the management and control system of a building to automate everything from HVAC to lighting to security features. Smart technology isn’t limited to new construction. When real estate developers renovate commercial space, it’s increasingly retrofitted with smart technology. By the same token, many large companies have renovated their own buildings to install data-gathering sensors. Doing so is an expensive undertaking but may be worthwhile if your business owns facilities in a prime location and doesn’t want to move. At the same time, don’t assume every building will be completely automated. In the health care sector, for example, some facilities are finding that manual control of lighting and ventilation systems remains more effective because high traffic volume hampers computerized efforts to regulate energy usage. The primary advantage of smart technology is simple. Over time, you should save money on energy costs by more accurately tracking and regulating usage — dollars that you can redirect toward more profitable activities. Any property you buy, however, must still fit a sensible budget and fulfill other functional criteria, such as being “right-sized” to your on-site workforce and perhaps coming with tax incentives. When leasing, you’ll need to get specifics from the owner regarding the smart building in question. Was it built new with sensors or retrofitted? Are the sensors and data-processing equipment themselves up to date? You’ll also need to research local energy costs to ensure that the property owner is passing along the savings to you under a reasonable lease agreement. Just as auto manufacturers no longer make cars without built-in computers, developers and contractors generally aren’t constructing buildings without smart technology. Bear this in mind as you shop for space. Whether you’re looking to lease, buy or build, we can help you weigh the pertinent factors and make the right decision.